"Drop test for Simplified Evaluation of Non-symmetrically Distributed sonic boom (D-SEND)" is a project to demonstrate and evaluate low sonic boom design technology to reduce "sonic boom", which is one of the a highest priority issues for realizing silent supersonic transport. Our goals are 1) to demonstrate and validate JAXA's "low sonic boom design concept" through flight tests, and 2) to establish an aerial sonic boom measurement method that can contribute to the currently ongoing deliberation of international standards for sonic booms. The D-SEND project has two phases, D-SEND#1 and D-SEND#2, each of which uses a large stratospheric balloon. In D-SEND#1, two different axisymmetric bodies are dropped. The sonic booms generated from the two different bodies are measured and compared. 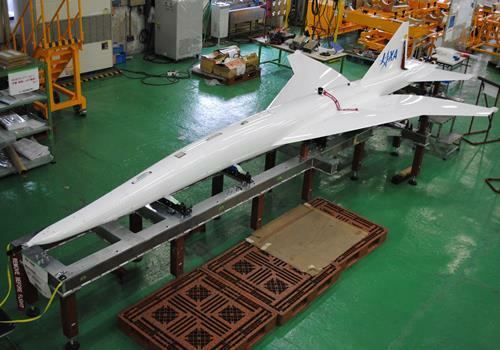 D-SEND#2 uses an experimental supersonic airplane (unmanned with no engine) based on JAXA's low sonic boom design technology. In each phase, sonic booms are measured using an aerial boom measurement system with microphone systems installed along the line of a tethered blimp. 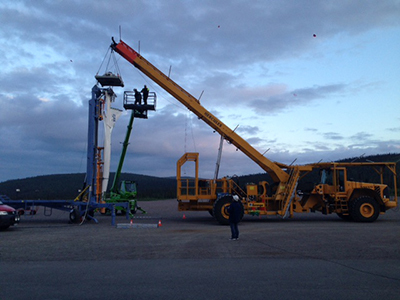 These drop tests are performed at the Esrange Space Center in Sweden, where we can secure both a safe testing environment and balloon controlling technologies necessary to carry test bodies. The experimental airplane, called the Silent SuperSonic Concept Model (S3CM), is an unmanned supersonic glider with no engine. Its aerodynamic shape is designed based on JAXA's original low-sonic-boom design technology concept. Its total length is 7.913 m, with a 3.510 m wing span, and 4.891 m2 wing area. Its total weight is 1000 kg. The rudder and stabilators (differential) are used for flight control. After separation from the balloon, the flight control computer controls all flight sequences autonomously as the aircraft flies over the boom measurement system at designed conditions. The onboard sensors used for flight control are an embedded GPS/INS, an air data system, and a highly accurate Az accelerometer. The main structures are made from aluminum alloy. The manufactured outer shape of the main wing has a jig shape designed so that the deformed shape attributable to the dynamic pressure at the time of measurement of the sonic boom can be formed into the designed aerodynamic shape. When an airplane flies at a supersonic speed, it generates many shock waves from the nose, wing, engine, and other surfaces. On the ground, these shock waves have a conventional pressure signature (N-type) that has two sudden pressure rises. This signature creates a thunder-like sound called a sonic boom. JAXA has been conducting research and development to halve the sonic boom intensity using computational fluid dynamic technology. The following design concepts are applied to the D-SEND#2 airplane. In 2010–2011, we performed tests to 1) confirm the functions of prototypes used for measurement and recording units of the Airborne Blimp Boom Acquisition (ABBA) system, 2) extract issues, and 3) acquire an actual sonic boom waveform for research on sonic boom evaluation technology. 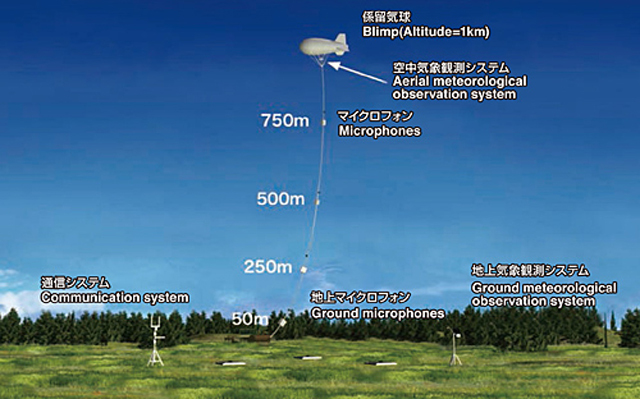 With a boom measurement system (BMS), a low-frequency microphone is moored at 750 m altitude using a small balloon to prevent the influences of atmospheric turbulence above the ground on the sonic boom waveform. Microphones are provided on a mooring rope and on the ground to take measurements of changes in sonic boom waveforms in the altitude direction. Meteorological data such as temperatures above the ground and at the altitude of the small balloon are also acquired. The first phase of D-SEND drop test (D-SEND#1) was conducted in May 2011 at the Esrange Space Center in Sweden (Press release May 19, 2011). In D-SEND#1, two test bodies were dropped consecutively from a balloon at altitudes of 20–30 km: the N-wave mode (NWM), which generates the conventional N-type pressure signature of sonic boom; and the low-boom model (LBM), which is designed to reduce sonic booms and which therefore generates the pressure signature of a low-boom wave compared to NWM. 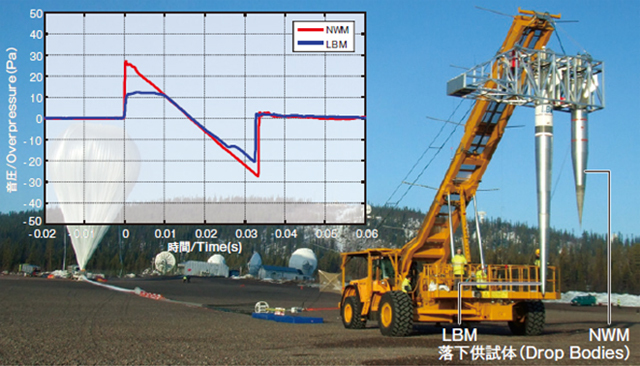 The sonic booms generated by the free-fall were measured successfully both in the air and on the ground using an aerial boom measurement system developed by JAXA. 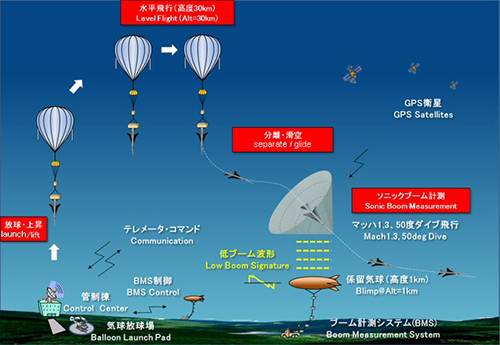 Through D-SEND#1, JAXA established, for the first time, a new method of demonstrating the low sonic boom design concept and sonic boom measurement system in the form of a balloon drop test, which will be used in the next phase, D-SEND#2. The data obtained from the test are valuable as a reference for the validation of the sonic boom propagation analysis method. They are expected to contribute greatly to future low-sonic-boom studies. 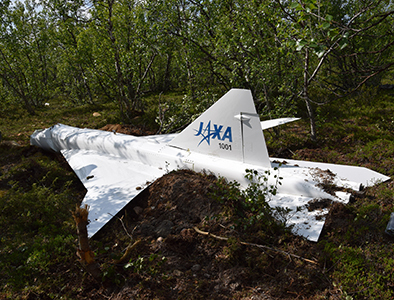 D-SEND#2, the second phase of D-SEND, was conducted at the Esrange Space Center in Sweden in July 2015 (Press release July 27, 2015). 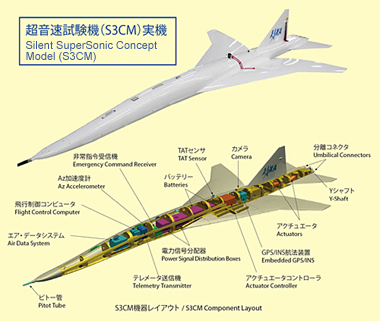 To confirm the validity of JAXA's original low sonic boom design concept through the flight test, an experimental supersonic airplane model called the "Silent SuperSonic Concept Model (S3CM, S-cube Concept Model)", which is designed to reduce sonic booms originating from the front and rea of an aircraft, was flown at supersonic speed. Because the test requires certain meteorological conditions for the experimental airplane to fly over the targeted boom measurement area as planned, the test was carried out after careful consultation on the weather conditions. The experimental airplane was launched using a balloon system. At an altitude of 30.5 km, the experimental airplane was separated from the balloon. Accelerated into supersonic speed during its free fall, the experimental airplane was controlled autonomously and glided over the targeted boom measurement system at Mach 1.39 with a flight path angle of 47.5 degrees. The pressure waveform generated by the boom that propagates vertically toward the ground was measured. FLIGHT PATH No.09/10 "D-SEND#2 Successful flight"
Aviation Program News No.27 "D-SEND#2 full-scale structural strength and stiffness evaluation testt"
Aviation Program News No.21 "Start of the low-boom design concept demonstration project"
Aviation Program News No.19 "Constructing an aerial sonic boom measurement system"
Aviation Program News No.17 "Assessment methods suitable for sonic booms"
Aviation Program News No.15 "Sonic boom measurement met with success!"